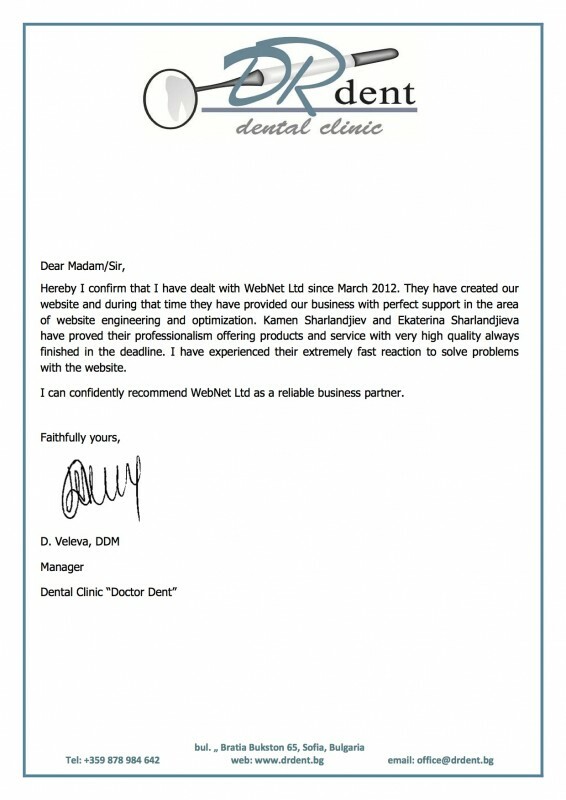 Dental clinic "Doctor Dent" was established in 2011 by Dr. Desislava Veleva. Dr. Veleva is graduated with honor in year 2007 Faculty of Dental Medicine - Sofia. She is a member and has registration in the register of Dutch dentists /BIG Register van Nederlandse Tandartsen/,she is also member of "Bulgarian Dental Assosiation". Her dental practice is growing and developing everyday.